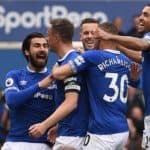 Second half goals from Leon Osman and Leighton Baines gave Everton a comfortable 2-0 victory over Blackburn Rovers at Goodison Park. David Moyes named the same side that started the 3-0 over Wolves at Molineux last week as they face relegation threatened Blackburn Rovers at Goodison Park. The first half was a tepid affair, with the only moment of note in the opening minute when Phil Neville launched a long ball, lofted pass forward for Leon Osman, who did well to divert the ball into Jermaine Beckford´s path only for the striker to slice high and wide. As the first half came to a close, a neutral viewer would be hard pushed to watch the second half. It was devoid of any creativity in the final third with neither keeper tested. But within 10 minutes of the second half, Leon Osman broke the deadlock. An influential, purposeful run from Bilyaletdinov earned Everton a corner. From it, Leon Osman collected a short-ball routine, turning inside the box and lashing a fine effort into the far corner via a deflection off Chris Samba. 1-0. 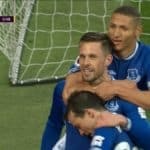 On 75 minutes, Phil Jones hacked down Seamus Coleman in the box to concede a blatant penalty and Leighton Baines lashed home the resulting spot-kick. 2-0. 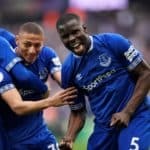 Blackburns only real chance to get back in it at Goodison Park came when Leighton Baines and Phil Jagielka made a hash of a clearance, but substitute Morten Gamst Pedersen could only volley wide eight yards out with the goal gaping.